Vero Gomez, Patrick Knip and I were tasked with creating a 15-20 second brand ident in a class at SCAD, and we chose to do Moo. 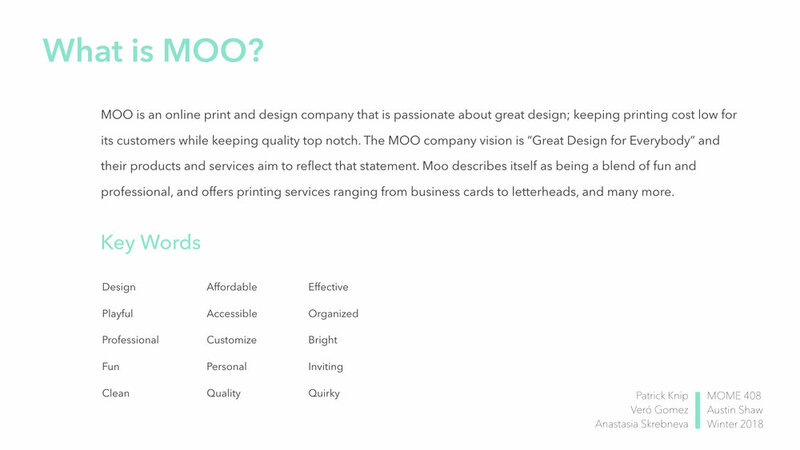 Moo is a printing company whose motto is "great design for everyone". They pride themselves in having affordable, high quality products that are accessible to all. 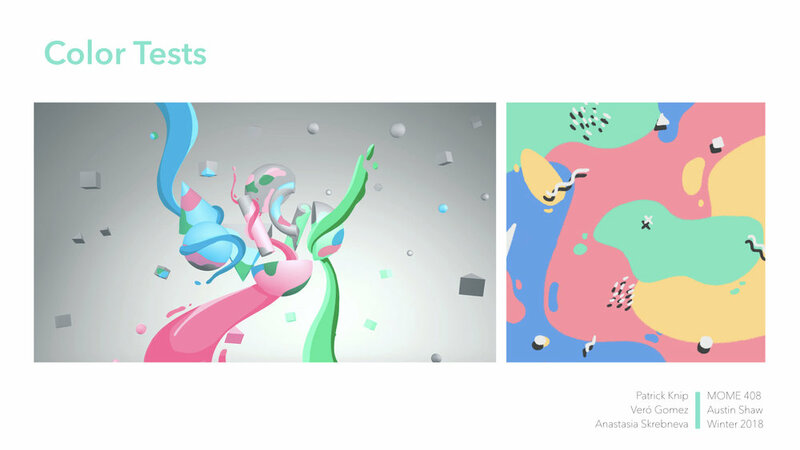 They are professional, fun, clean, intuitive, simple and colorful. Enjoy and check out our process below! 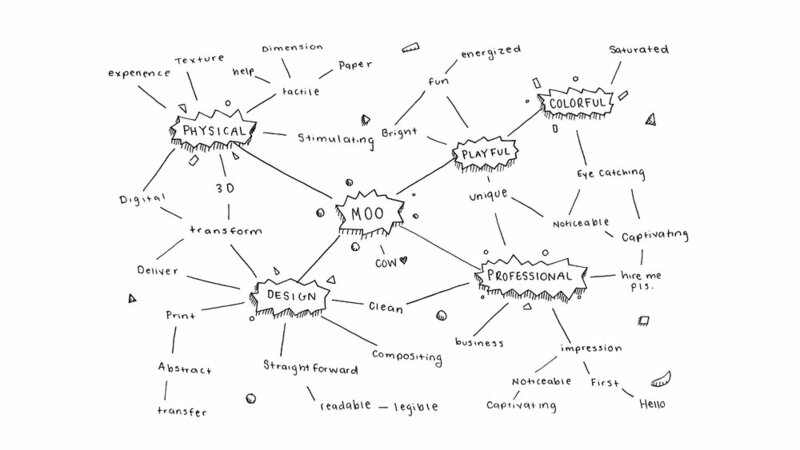 At the beginning of our concept development, we sat down and made a mindmap to get our creative juices flowing. Some of the time we spent creating the tactile elements shown at the end of the ident. Shooting the elements falling out of the tube. We had a lot of fun moving away from computer screens for a while during this project.